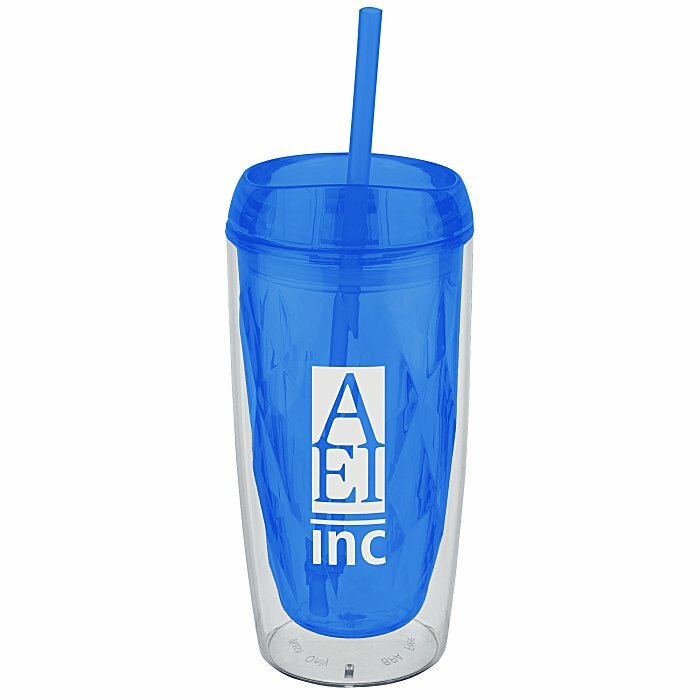 These cool tumblers are a must-have for your promotion - 24HR! These to-go tumblers are made of durable double-wall acrylic. Double wall construction is perfect for use with hot or cold beverages. 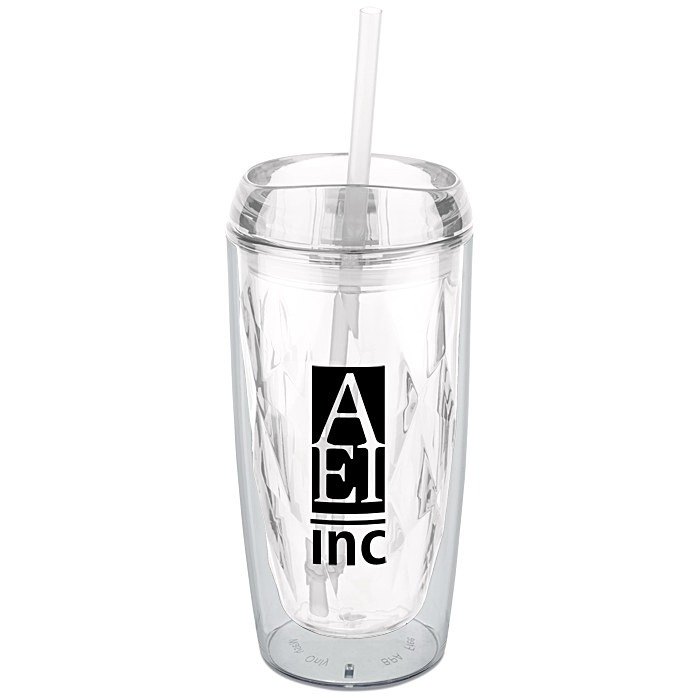 Features a push-on lid with a thumb-slide closure and a reusable straw. Outer wall is clear while the inner wall is colored and has a geometric pattern. Inner wall, straw and translucent push-on swivel lid all color coordinate. Your price includes a one color wrap imprint on the tumbler.